Building dashboards is something many of us have to do on a regular basis. Designing dashboards is often a gut-feel exercise. Are you are fed up with debates about which colours to use, how much data to put on a graph and when to use colour? 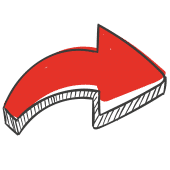 The good new is that there are research-based principles that give you really clear steps you must take to create clear and easy to read dashboards. 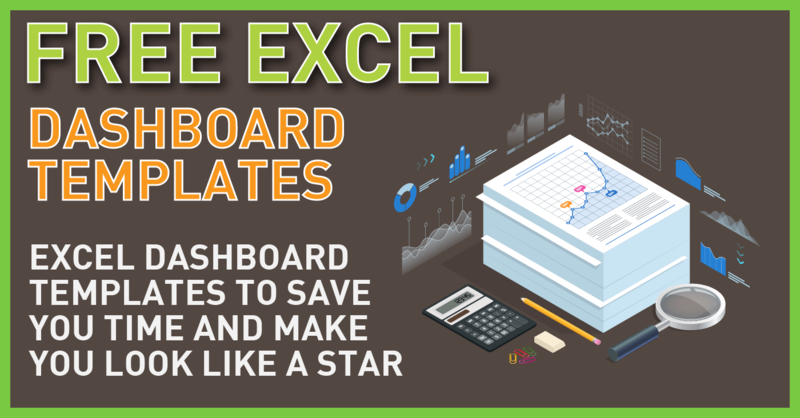 I'm sharing these free Excel dashboard templates as a great foundation for building your own dashboards. I provide some articles on this website explaining the design principles behind clear dashboards and if you want to go into a lot more depth I suggest you download my e-book on the subject - BlinkReporting. 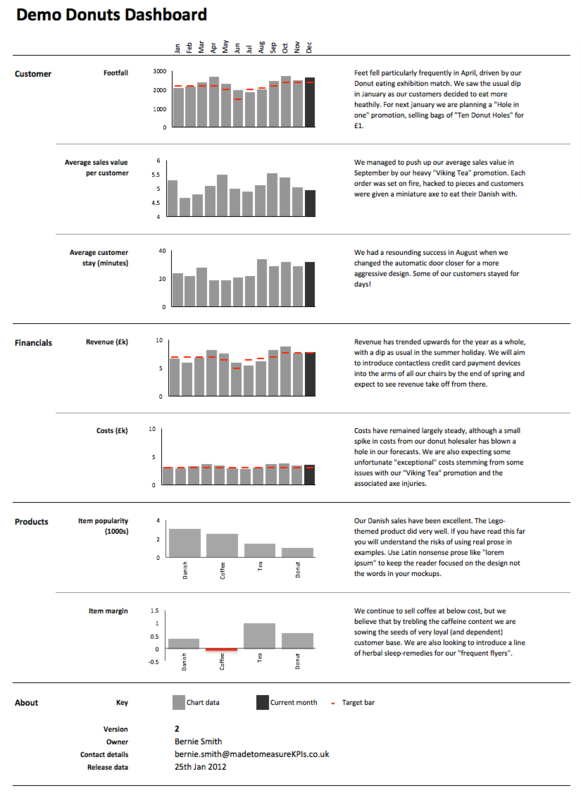 This dashboard shows the data table, charts and commentary on the same page. 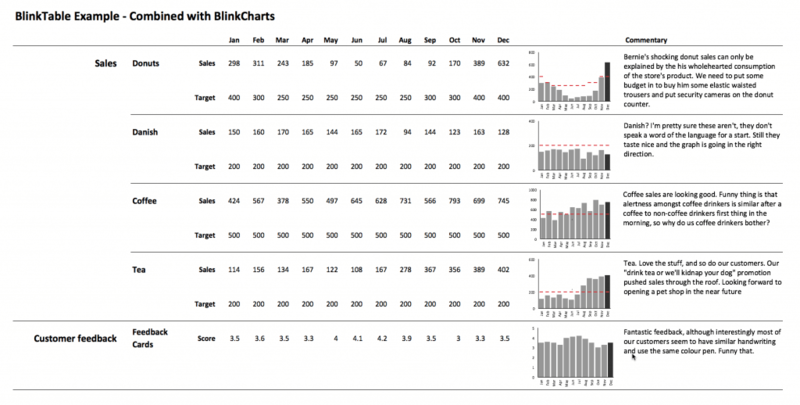 The charts generate directly from the table, so it's super-simple to use. The targets show as red bars on the chart, the latest period appears as a darker shade of grey. 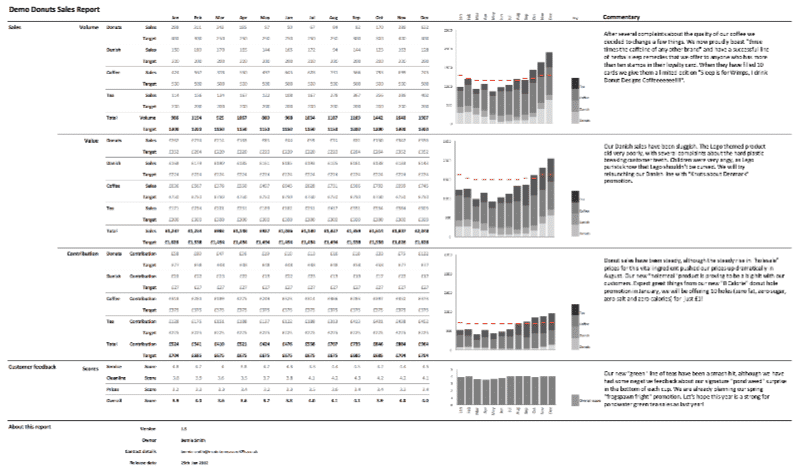 This free excel dashboard template shows charts and commentary on one page, with the data entered on a separate tab. Good for managers who are less interested in the underlying numbers but like lots of information on one page in a readable way. The targets appear as red bars on the chart, the latest period shows as a darker shade of grey. This example includes an 'About' table to show the owners and revision details. Always good to put on a dashboard. This is a more complex chart, showing multiple data sets stacked on top of each other. The data is carefully grouped through the use of indentation to improve table readability. It's unlikely these will exactly meet your needs in their current state. They are intended to provide the basic building blocks for a real-world dashboard. Feel free to cut and paste these dashboards to meet your needs. Don't forget to check out my dashboard design tips too. Looking for some face-to-face advice on dashboard design and KPIs in general? Check out my next course. If you come up with something special, that you are proud of and would like to share, please feel free to email it in and we will publish it on this page.